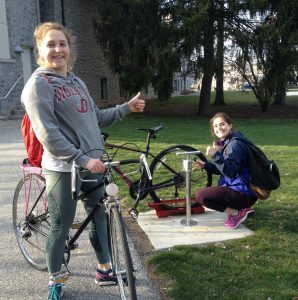 This past spring there were some new and exciting biking developments done on campus… namely new bike pumps! 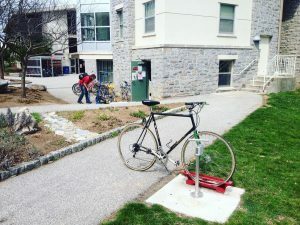 Thanks to Student Senate and the CSE Biking Interns, there are now five new bike pumps on campus at the HUB, High Street crosswalk, Adams, Denny, and DW. Want to know where all the pumps are plus a lot of other cool biking stuff? Check out this super cool map of biking infrastructure on campus– it shows where bike racks, facilities, pumps and repair stations, showers, lockers, and indoor bike rooms/bike parking are on campus! 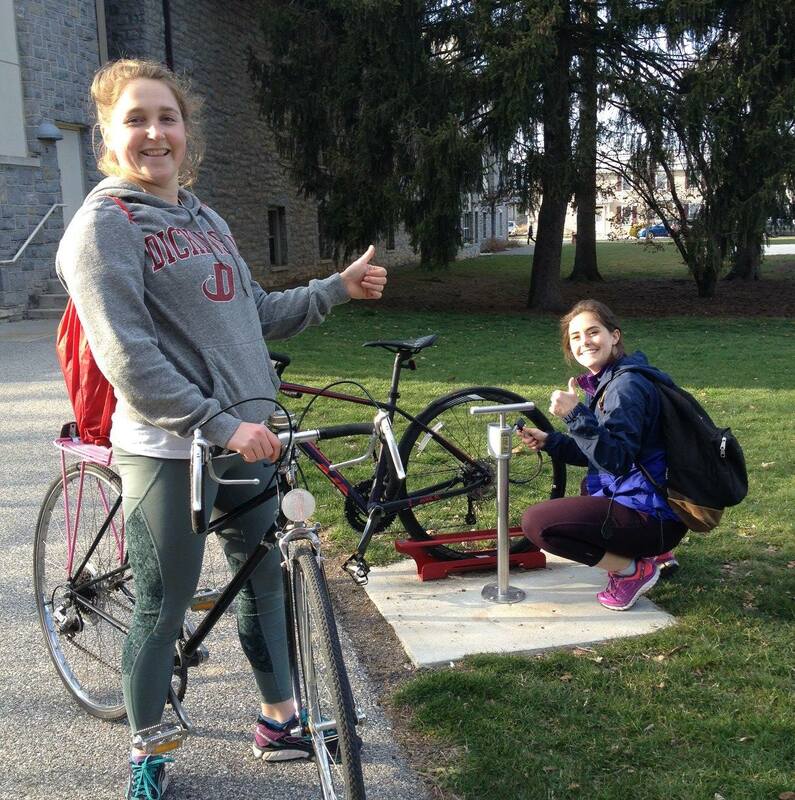 Abby ’20 and Caroline ’18 are excited about the new bike pumps! One of the new bike pumps by DW.